During the last couple of years, more academic and especially industrial interest can be observed in the area of high-throughput formulation research. 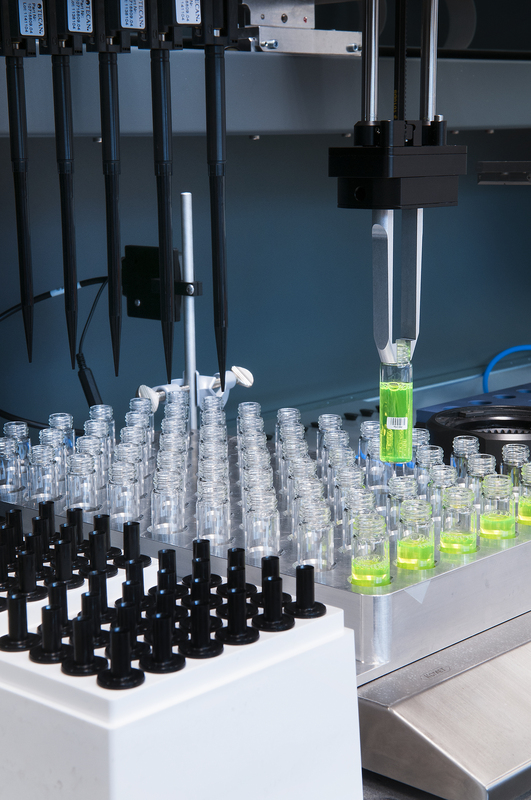 For a number of reasons, formulation research is well suited for the application of high-throughput technologies: typical formulations can easily consist of 10 – 15 active components. The nature and concentration of these components need to be carefully optimized for the target application. Additionally, the processing, application and performance testing of the formulations may each involve many adjustable parameters. Many formulations have short product cycles, which increase the need for new developments and shorter commercialisation periods. 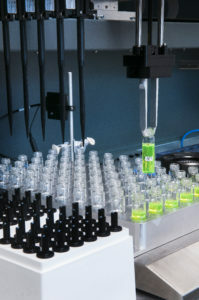 Thanks to Flamac’s unique high-throughput set-up, the development phase can be accelerated significantly. 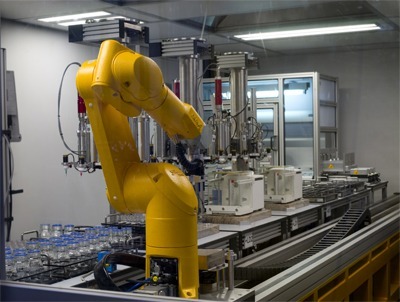 We use automated workflows for the development of products either with low or high viscosity. Both powders and liquids can be dosed volumetrically as well as through multichannel pipette technology, including heated liquids. Mixing is carried out by powerful magnetic stirrers, blenders and homogenising dispersers. Recipients typically vary between 8 and 150 ml but can also be tailored to customers’ needs. Barcodes containing all processing data are secured on all recipients, e.g. data on actual processing time and dosing.